What are we missing here. We do know the difference between shiite and Shinola, but this one has us stymied. Wouldn't the sensible solution be to just jettison the Fed completely and have US Treasury print our own notes interest free? From Rense: What Are CAFRs? If one understands the mechanics of canceling $2 trillion in debt, there’s equal wisdom to likewise cancel all ~$5 trillion of the debt held by Social Security and other intragovernmental holdings as simple book-keeping because we literally owe this to ourselves. And in this light, we could enact what is called “monetary reform” for the US Treasury to pay the outstanding ~$12 trillion of debt held by the public as it becomes due with debt-free currency created by the US government (criminal 1% elements in banking would be identified and their crime-gained assets seized). Ending the national debt once and for all, forever, is just one benefit of the several models (and here) of cost-free government already known, beginning with Benjamin Franklin’s pamphlet on colonial Pennsylvania operating its government debt-free and without taxes, to Thomas Edison explaining debt-free money with Henry Ford in a 1921 summer media tour. Debt-free money could be created to directly pay for public goods and services, and government could be employer of last resort for infrastructure investment. Because infrastructure creates more economic output than investment cost, this results in falling prices. So, we can have full-employment, the best infrastructure we can imagine, and falling costs to consumers. I teach Advanced Placement (AP) Macroeconomics (more challenging than most college-level introductory macroeconomic courses), contribute to the ongoing education of ~2,000 AP Economics teachers on our listserve, and had my published research in monetary reform honored by the Claremont Colleges’ international conference on monetary reform in 2012. This is the paper for my AP Macroeconomics students to understand money mechanics (and paying the national debt), also contributed to our listserve AP teachers. To date, no colleague, student, or parent has found any factual errors or incomplete information. This article is a shorter, non-academic, documented explanation of our debt-condition and solutions. What we use for money is actually debt, created by private banks. The national debt is created by Treasury printing pretty pieces of debt instruments, selling them into a system whereby what is used for money is created debt-free and out-of-nothing by banks. Adding more debt over time, as these mechanics can only do, will only and always increase the total economic debt. This “monetary system” guarantees aggregate public debt is perpetual and unpayable, making the 99% permanent debt-slaves to 1% literal “asset-holes” (documentation here, here, here). The mechanics and mathematics of only being able to add negative numbers to existing negative numbers is certain and simple. Official government claims of “required austerity” from “budget crises” are easily refuted. 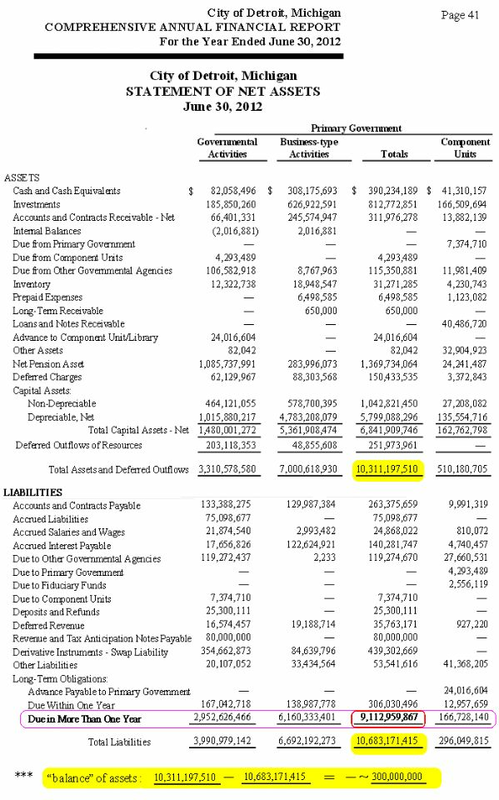 Government Comprehensive Annual Financial Reports (CAFRs) have literal multiple trillions in surplus taxpayer assets, as they fraudulently claim deficits “forcing” austerity upon the 99%. For example, California’s own CAFR proves a ~$16 billion claimed budget deficit is absolutely refuted by ~$100 billion in liquid surplus funds and ~$500 billion in claimed investments (explanation and complete documentation here, television interview to explain here, documentation of official lies to keep this information hidden here). Again, and importantly, 1% “leadership” in government, banking/finance, and corporate media lie in omission by keeping obvious solutions secret: including government directly paying for all public goods and services with debt-free money created by government (and here). Several models (and here) of cost-free government are known, beginning with Benjamin Franklin’s pamphlet on colonial Pennsylvania operating its government without taxes to Thomas Edison explaining debt-free money with Henry Ford in a 1921 summer media tour. As the links above emphasize, we’ll never have these solutions or even the problem clearly explained until 1% leaders in government, money, and media are arrested for OBVIOUS fraud (obvious because debt is called “money,” and those with fiduciary responsibility in government to explain options to end our debt are silent). If no arrests, we will have only more debt, wars, and lies.